Create stunning wall art from your memories by turning your precious photos into canvas prints. At Snappy Snaps, our photo canvases are excellent quality, finished to the highest standard and come ready to hang. If you are unsure of how to display a photo canvas print of your family or how it will fit into your home décor, come in store and have a chat with our photo advisors, who will help you and give style tips on how best to fit your memorable photos around your everyday life and relive the memories every time you see them. 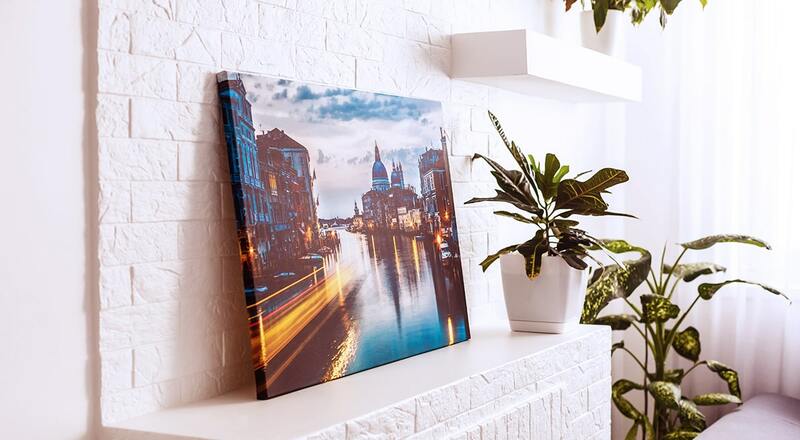 In store, we have a wide range of stretched canvas print sizes available - from standard to custom sizes to suit your display space. We can also print stretched photo canvases for your offices and corporate clients with your own images and logos. 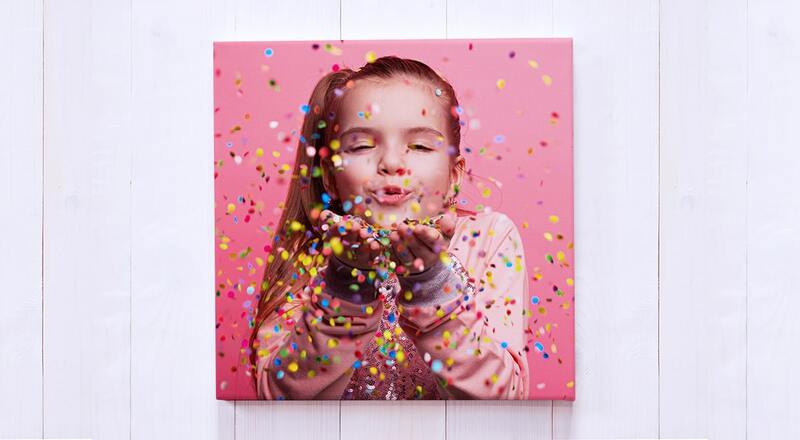 We offer a variety of canvas sizes and if you have a specific size that is not listed just speak to your local store as we also offer a bespoke service. Speak to one of our in-store photo advisors to find out how we can make your photo canvas print extra special today.